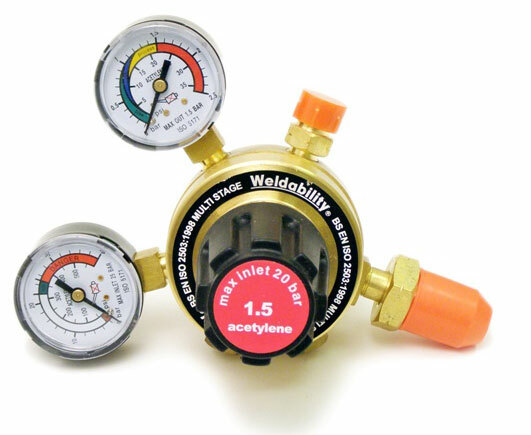 Gas regulators are extremely important when welding or cutting using compressed gases. 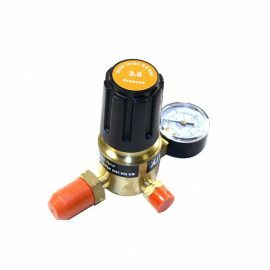 Firstly, the correct gas regulator for the gas being used is essential. 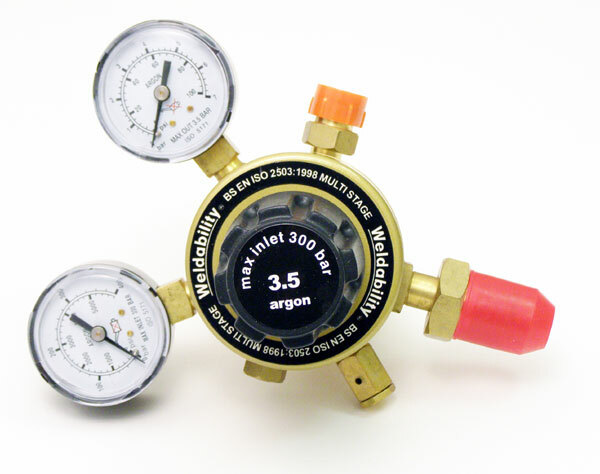 This is because a regulator is constructed specific to the gas it will be used for. 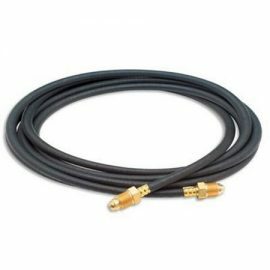 Combustible gas regulators (such as Oxygen, Propane and Acetylene) tend to have left hand threads where as inert gases such as Argon, have right hand threads. 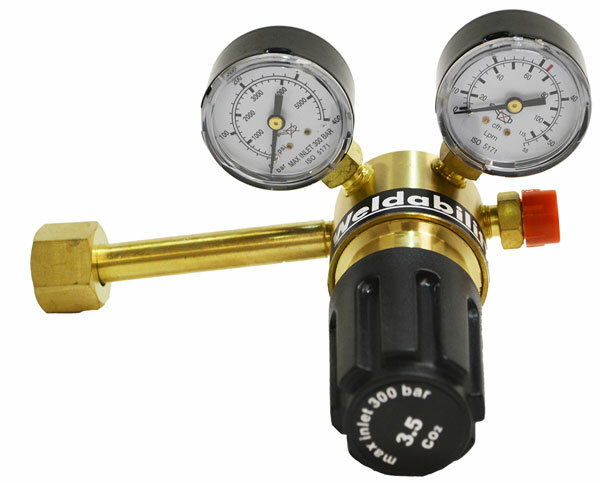 The internals of the regulator is also specifically designed for the gas passing through it. Single or Two Stage Regulator? 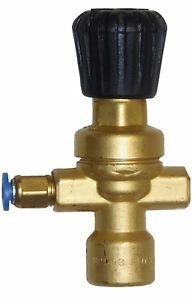 A single stage regulator regulates working gas pressure in one step where as a two stage regulator regulates gas flow pressure in two stages. 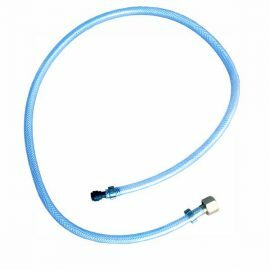 They both perform the same function, to regulate the gas flow from the gas cylinder. Where a two stage has its advantage, is when the gas cylinder begins to run low. The delivery pressure of the two stage regulator remains constant throughout the usage of a gas bottle. A single stage will decrease its delivery pressure near the end of the cylinder. The two stage or multi stage regulator should be used when a precise pressure is required over the life of the gas bottle. Single or Two Gauge Regulator? 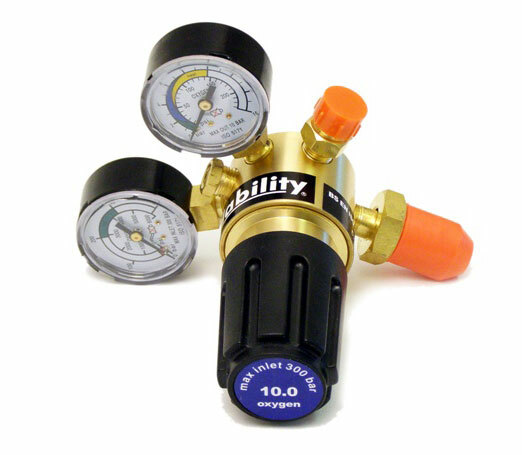 A single stage gas regulator only shows the output gas pressure being delivered. A two stage benefits by having one gauge show the delivered gas pressure, whilst the other shows the remaining contents in the gas bottle. Why Use a Flow Meter? 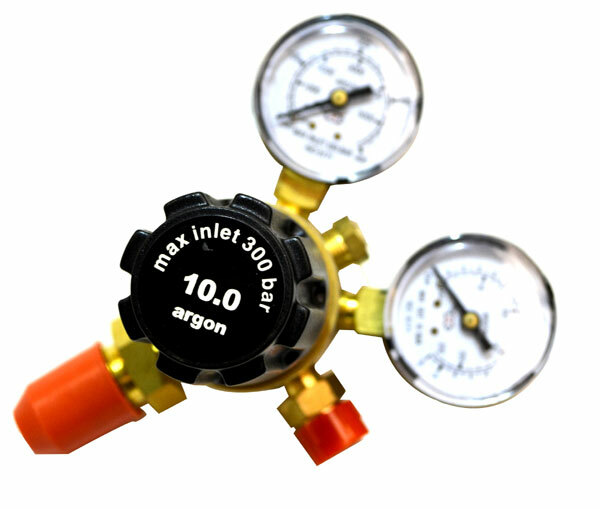 Designed to be fitted to the outlet of an argon or CO2 regulator, a flow meter provides greater control of the flow of your shielding gas through the gas line. 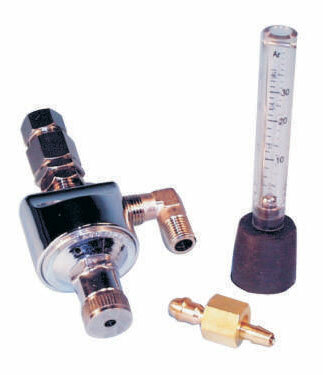 A flow meter also has the added benefit of giving a visual indication of when gas is actually flowing. 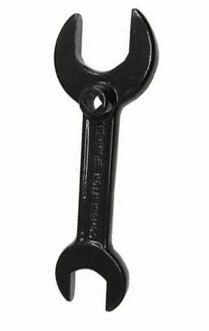 Ideal for use in MIG and TIG.